The Message Is One: All Love Is Equal! 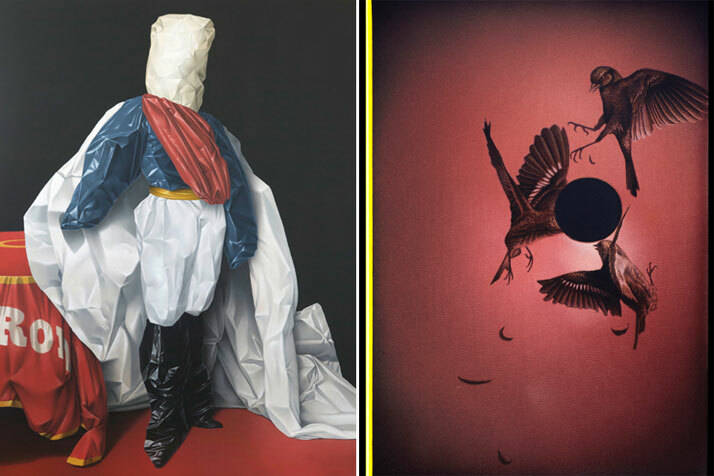 Intuition and a desire to express things that cannot be described with mere words is the drive behind the work of celebrated German painter Eckart Hahn. A master of his medium, Hahn creates compositions of texture and form that are more like paintings of sculptures than anything else. 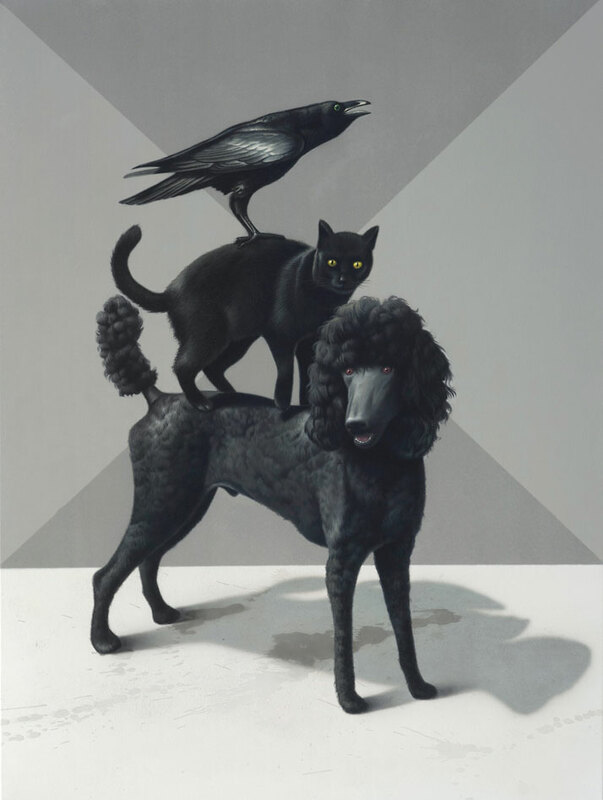 A constant play between opposite polarities, Hahn’s work oozes a certain discomfort, but not without good reason: his paintings are meant to reflect the unanswered questions and unresolved contradictions that are inevitably part of human life. Eckart Hahn, Hypnotic 60°, 2013. Acrylic on canvas, 100 x 80 cm. Photo courtesy of Wagner + Partner Berlin. 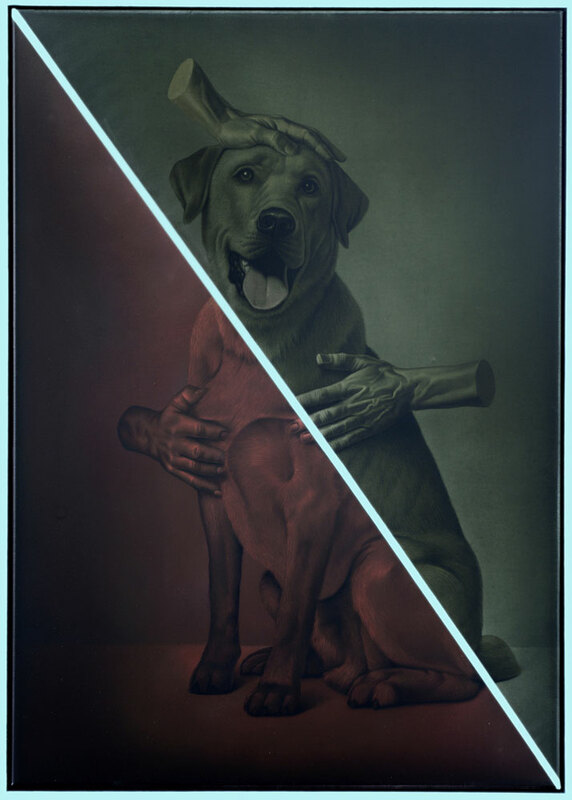 Eckart Hahn, RGB, 2014. Acrylic on canvas, 70 x 50 cm. Photo courtesy of Wagner + Partner Berlin. Eckart Hahn, Moon, 2013. Acrylic on canvas, 90 x 70 cm. Photo courtesy of Wagner + Partner Berlin. Eckart Hahn, Zwielich, 2011. Acrylic on canvas, 90 x 70 cm. Photo courtesy of Wagner + Partner Berlin. 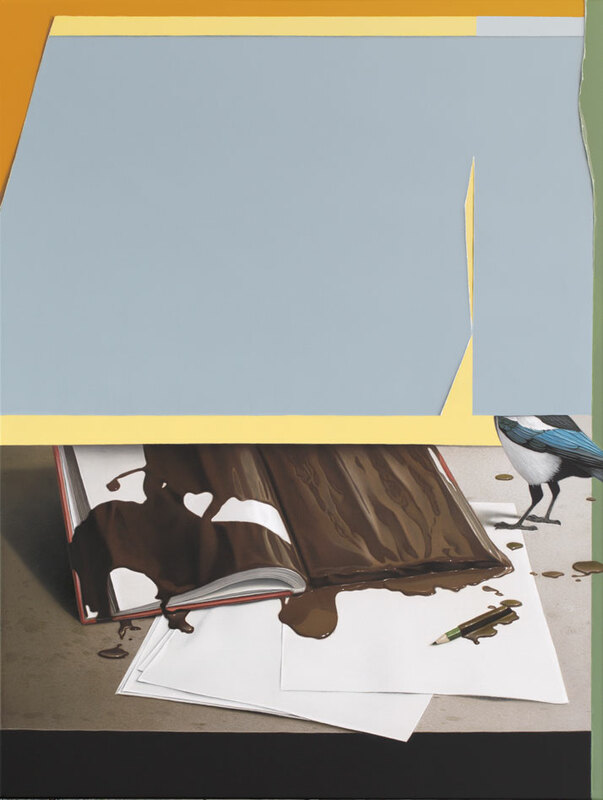 Eckart Hahn, Diary, 2014. Acrylic on canvas, 80 x 60 cm. Photo courtesy of Wagner + Partner Berlin. With many an artist today claiming that intuition is the source of their inspiration, few actually transfer the fluid and vivid imagery of the subconscious mind onto a canvas with Hahn’s clarity and consistency. 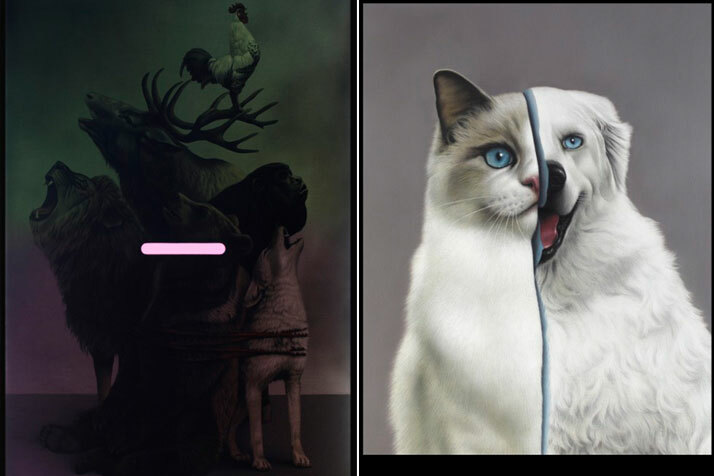 The result is both life-like and unlikely, or as the artist himself describes it, a kind of ‘‘broken realism’’ that, through humour and cheerful colours, touches upon the darker parts of our psyche. We could therefore say that the greatest virtue of these works is their immediacy: the execution is so impeccable and the aesthetic so compelling that their impact is felt directly, making us forget that they were actually made with great pain and skill by the hand of another person. 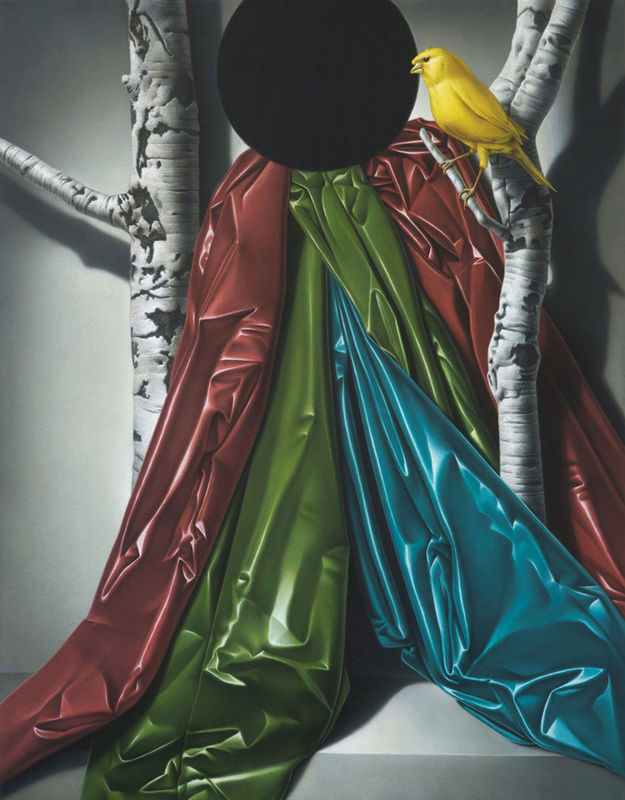 Eckart Hahn, Beloved, 2013. Acrylic on canvas, 100 x 70 cm. Photo courtesy of Wagner + Partner Berlin. 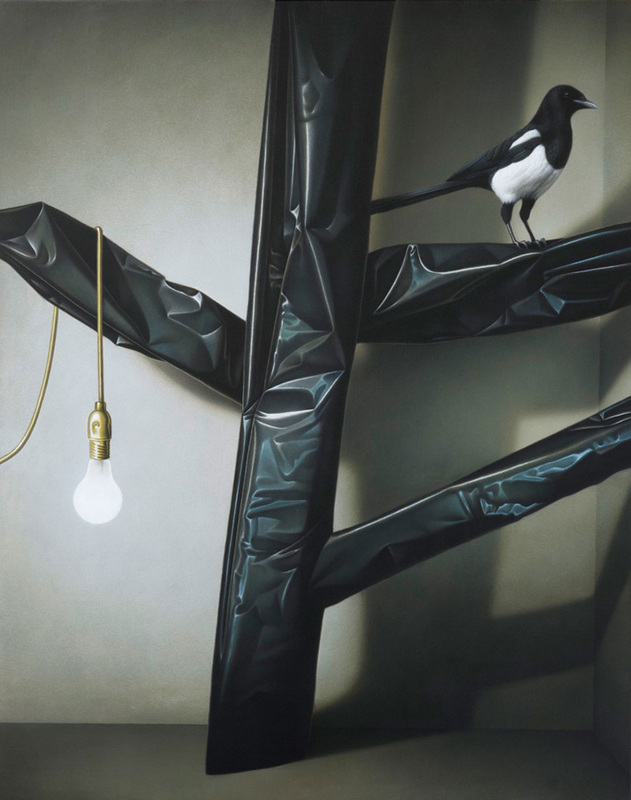 Left: Eckart Hahn, Concerto fragile, 2014, acrylic on canvas, 120 x 80 cm. Photo courtesy of Wagner + Partner Berlin. 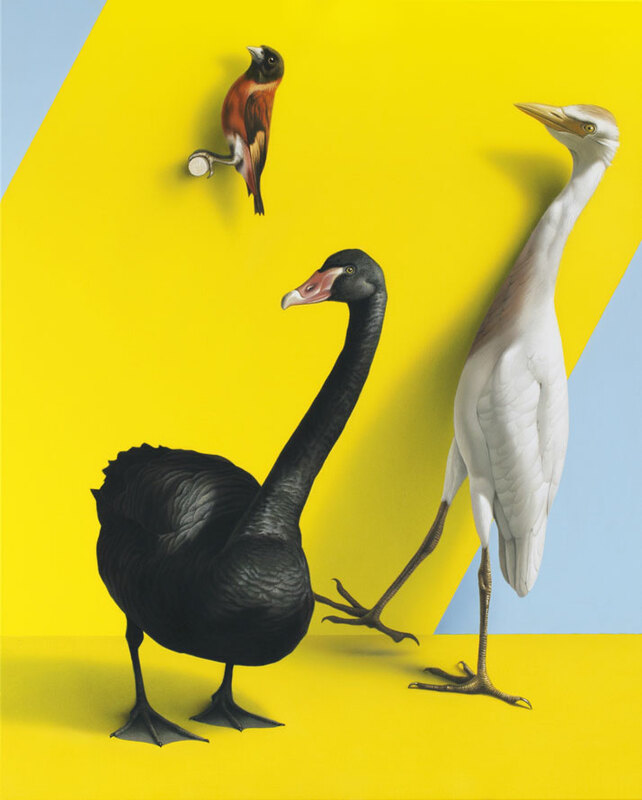 Right: Eckart Hahn, Wallpaper, 2013. Acrylic on canvas, 80 x 60cm. Photo courtesy of Wagner + Partner Berlin. Eckart Hahn, Abend, 2011. Acrylic on canvas, 80 x 60 cm. Photo courtesy of Wagner + Partner Berlin. 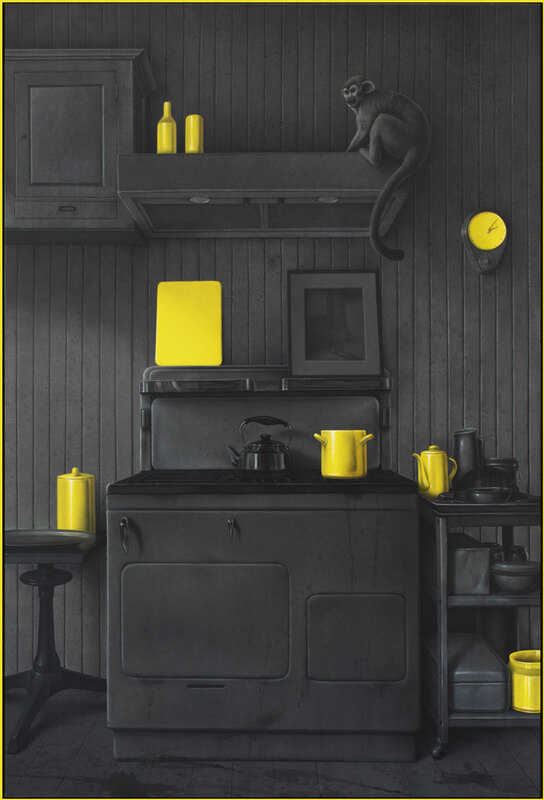 Eckart Hahn, Kitchen, 2014. Acrylic on canvas, 190 x 130 cm. Photo courtesy of Wagner + Partner Berlin. 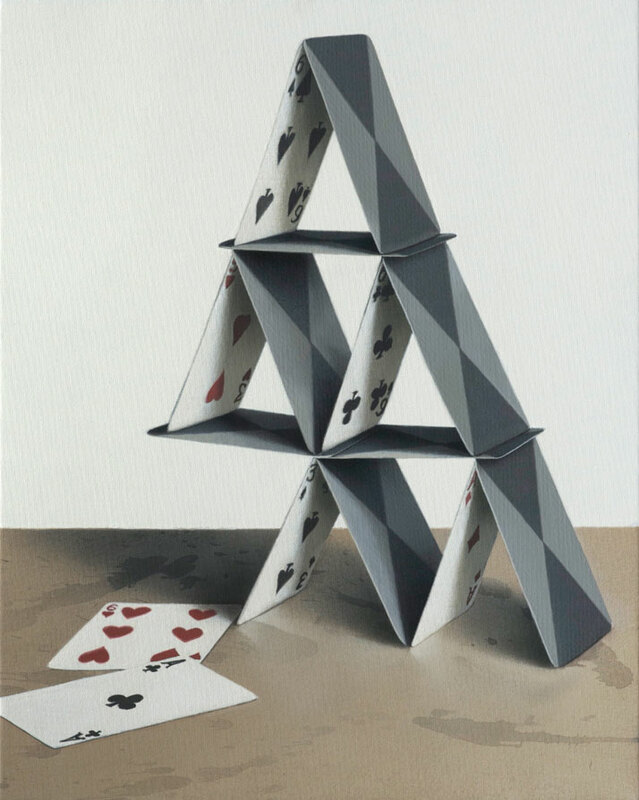 Eckart Hahn, XIV, 2011. Acrylic on canvas, 150 x 110 cm. Photo courtesy of Wagner + Partner Berlin. 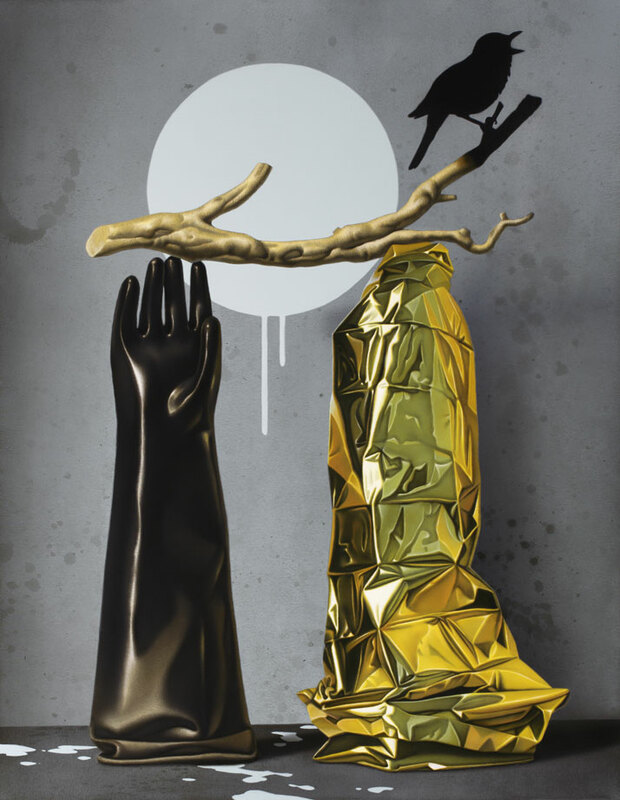 Eckart Hahn, Fleur de Nuit, 2011. Acrylic on canvas, 50 x 50 cm. Photo courtesy of Wagner + Partner Berlin. 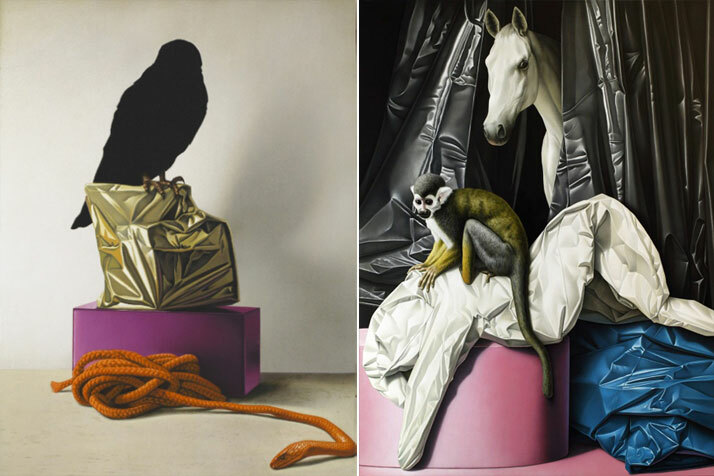 Left: Eckart Hahn, Nighthawk, 2013. Acrylic on canvas, 70 x 50 cm. Photo courtesy of Wagner + Partner Berlin. Right: Eckart Hahn, ALB, 2012. Acrylic on canvas, 200 x 150 cm. Photo courtesy of Wagner + Partner Berlin. Eckart Hahn, BLACK HOLE, 2011. Acrylic on canvas, 90 x 70 cm. Photo courtesy of Wagner + Partner Berlin. 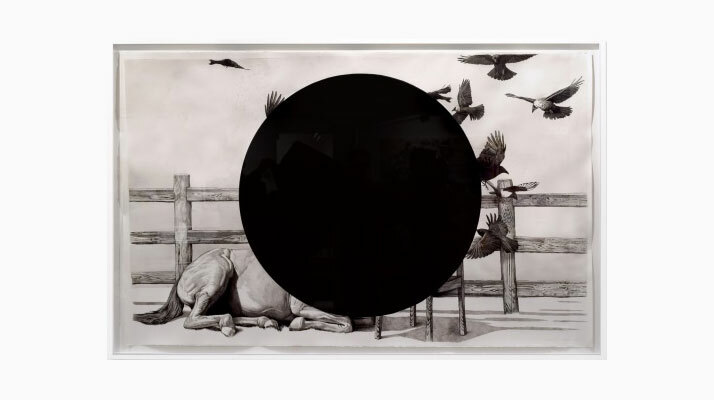 In recent years, layering, masking and concealing have been recurring elements in Hahn’s work. This is related to the artist’s belief that his work is more like ‘‘a web of invisible strands that become visible through each painting,’’ like networks of fungi that grow hidden in the ground. For this reason, and to highlight the fact that his whole body of work is somehow interconnected, Hahn has named his upcoming show in Berlin ‘Myzel’ (Mycelium) after the submerged network of fungal threads from which mushrooms grow. 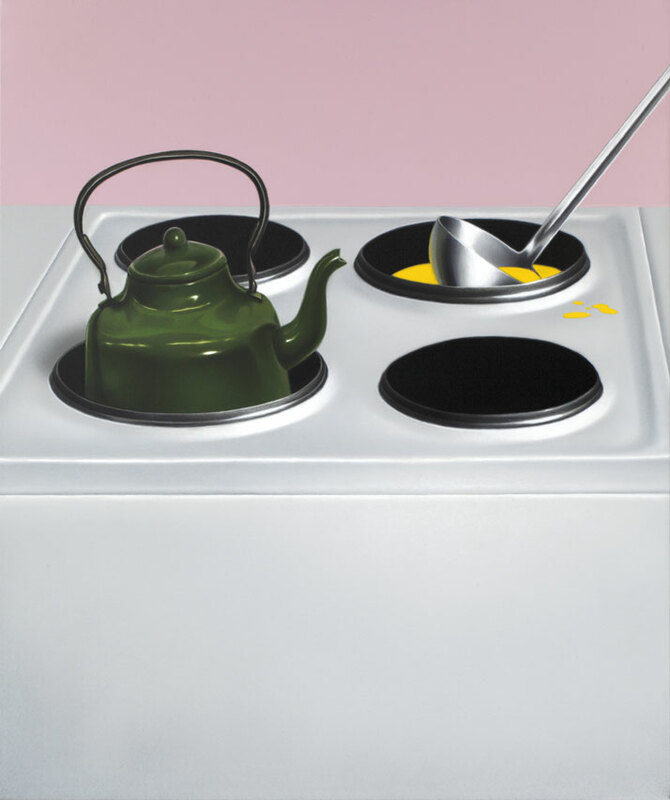 His fourth solo show in the German capital, Eckart Hahn’s Myzel is being presented by Gallerie Wagner + Partner from 20 March - 24 April 2015. 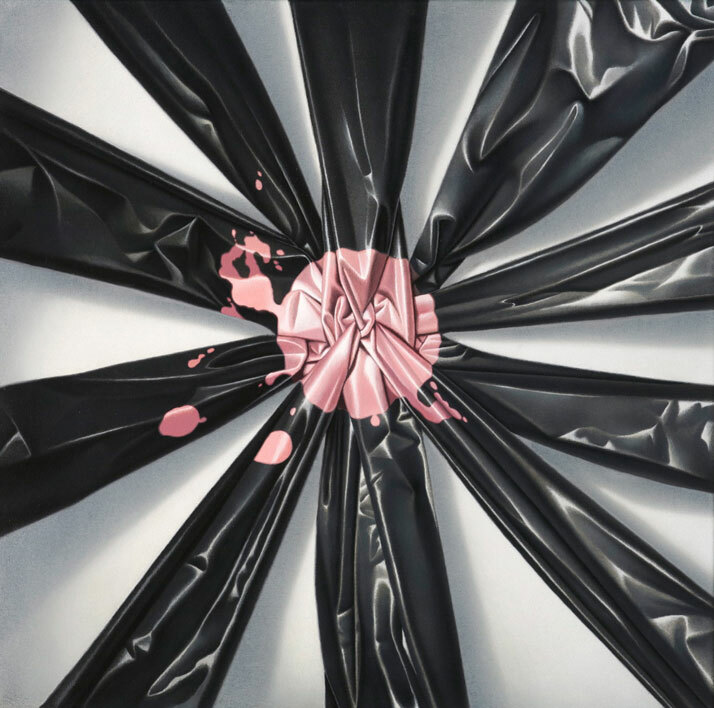 Eckart Hahn, 100 Grad, 2012. Acrylic on canvas, 60 x 50cm. Photo courtesy of Wagner + Partner Berlin. Eckart Hahn, Dom 2, 2011. Acrylic on canvas, 40 x 32 cm. Photo courtesy of Wagner + Partner Berlin. Eckart Hahn, Weight, 2014. Acrylic on canvas, 50 x 43 cm. Photo courtesy of Wagner + Partner Berlin. 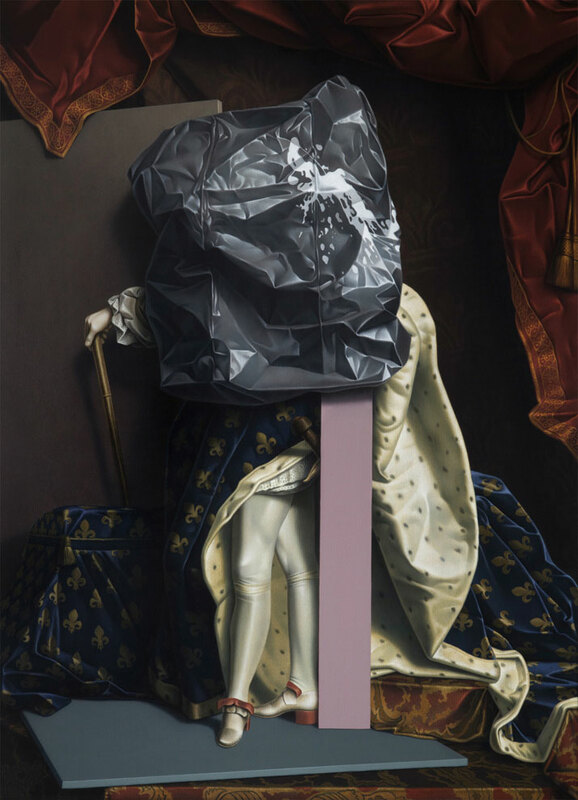 Left: Eckart Hahn, Lord, 2010. Acrylic on canvas, 200 x 150 cm. Photo courtesy of Wagner + Partner Berlin. 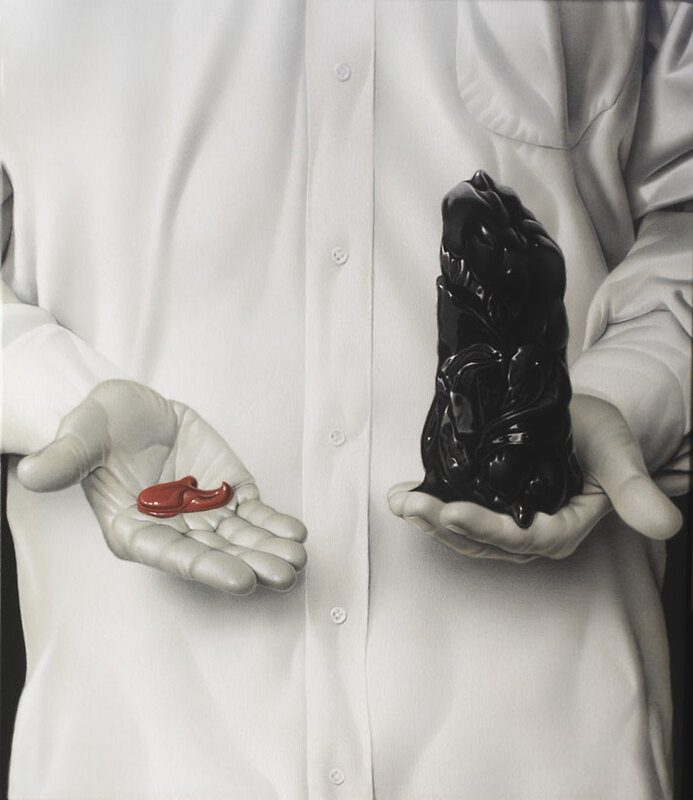 Right: Eckart Hahn, Black Moon, 2014. Acrylic on canvas, 50 x 35 cm. Photo courtesy of Wagner + Partner Berlin. Eckart Hahn, KOPPEL, 2014. Ink on paper, 113 x 184 cm. Photo courtesy of Wagner + Partner Berlin. 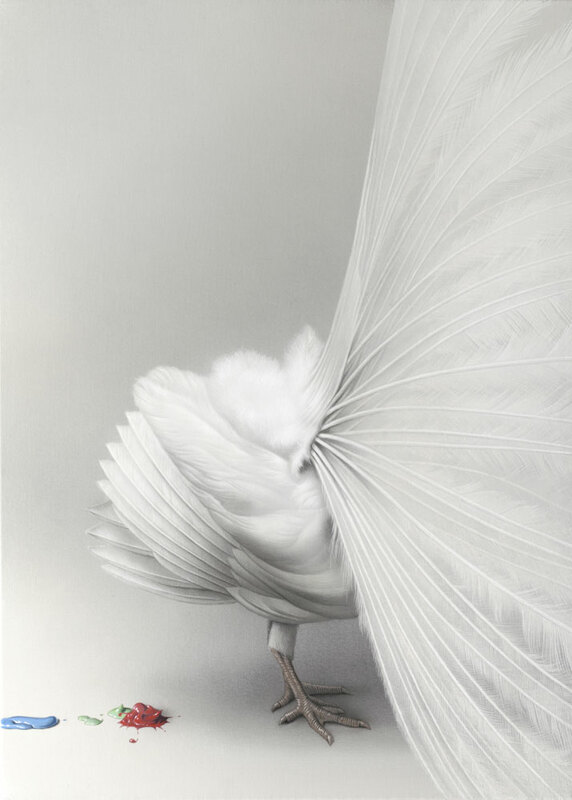 Eckart Hahn, Tale, 2011. Acrylic on canvas, 80 x 60 cm. Photo courtesy of Wagner + Partner Berlin.